Help! Do Implantable Hearing Aids Work? Do any of you faithful Lipreading Mom followers have experience or insight with the Esteem implantable hearing aid? Care to share your thoughts below? Implantable hearing aids, to the best of my knowledge, do not have t-coils built in them. Therefore, the wearer cannot benefit from induction loops. Those kind of hearing aids are also very expensive and out of the reach of many. After a period of use in the ear, those kind of aids are replaced by another costly implantable hearing aid. The removed aid cannot be used again. Richard – Thank you for the insight! It’s supposed to be great for those who has Sensorineural hearing loss. I like it the idea a lot, especially for myself. But with the cost being over 30 000 dollars for one ear… It’s pretty much just a dream for me (plus I live in Canada). She would really need to do a lot of research and stuff before trying it for herself. Lisa – I appreciate you commenting! Marsha – Thank you for your wise perspective. I wore hearing aids for about twenty years before I lost all my hearing. I know they are a blessing/curse at the same time. But being a retired tech related scientist I think that technology changes so rapidly now that if you had one implanted this year it would probably be obsolete before you even got it paid off. Unless the advantage is huge I would stick to the removable aid. RJ – That is an excellent point. Thank you for commenting. Not all those with sensorineural HL are candidates for esteem. 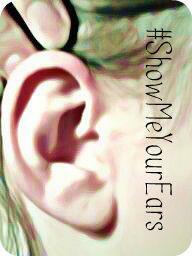 I have cochlear otosclerosis and would not be able to use them. Also, when the battery runs out I believe you need surgery for a replacement. The vibrant soundbridge made by med el is another middle ear implant aid. The battery is worn on the outside like a cochlear implant, and everything can be updated without surgery. Laurie – Thank you for letting me know about your experience and for this important insight. website to see what surgeons and audiologist are participating in Med El’s study. « What Kind of Mom Should I Be?